Working in an outdoor environment is a very privileged experience. Through an awareness of the importance of reflection, the experiences gained from outdoor learning can be gathered, evaluated and enhanced, ensuring best practice outdoors is at the heart of your role as an early year’s practitioner. My journey with Outdoor Play began a long time ago. As a child, a quick shout out to mum that we were ‘awa ootside’ was our parting shot as we embarked on our adventures. The play would take any shape or form we pleased. We made camps out of small straw bales. Floated (and chased) bits of wood down a waist high stream. Made beef olives for our cafe from a fistful of squashed up sand, carefully wrapped in a Sycamore leaf, neatly placed seam side down on a slate (our baking tray) to avoid the stuffing spilling out. The possibilities were endless. Fully engaging with nature allowed for higher order thinking to take place. I quickly understood that the sand required a scoopful of water from a near by puddle to create the perfect consistency for moulding it – after all, nobody wants a beef olive without stuffing! Whether offering Outdoor Play or Forest School, defining the role of the adults in the setting is very important and should be one of the first things we decide. Asking questions can often help decide on aims and objectives; Why are we going outside? What do we hope the children achieve? How will we record evidence of experiences? What is my role? The more we go over this type of reflection in our heads the easier it is to understand; it is not the resources we offer, it is how we sensitively interact with the children. This type of thinking comes along with experience and through constant reflection on and in action (infed.org, 2013). Over the years I have gained a deeper knowledge of self-evaluation and the cycle of reflective practice. It has helped me define my outdoor role and the differences between Outdoor Play and Forest School. Outdoor Play has been very much at the forefront of early years education lately. Documentation to support our understanding of the benefits is readily available from a range of sources, and guidance is available through collaboration with the Early Years Support team. My own experience of offering Outdoor Play in the past consisted of a curriculum based, well organised, visually attractive area. Inspiration was taken from children’s previous interests. Adults and children addressed these interests by offering opportunities and resources that enabled challenge. The activities I personally offered included resources taken from inside, gross motor opportunities through chutes, tunnels and balancing apparatus, areas to encourage thought on life cycles/living and growing, areas to encourage better understanding of a current theme, the list was endless. This type of environment is a great resource for visual learners, they see what is on offer, it looks interesting and exciting, they can access and enjoy the activity immediately. Although this produced great benefits, reflection highlighted some areas for development. One question that comes to mind… Does the play allow for creation and imagination at a deeper level? Due to the increased research on Outdoor Play, there are a lot more settings able to offer free flow play. This has helped address the issue of; restricted time contributes to less chances where higher order thinking, problem solving, and a deeper understanding can take place. Developing my own reflective practice led to undertaking a Forest School Leader Award. It was throughout the duration of this course, I was able to differentiate between the two types of Play offered. There has been a growing interest both locally and nationally in Forest School for several years. The Forest school movement has seen a significant number of outdoor based nurseries opening throughout the country. In order to continue to provide quality provision, my personal aim was to become a Forest School type nursery setting, hoping to adopt some of the forest school activities within our existing outdoor provision. However, I quickly realised that Forest school is not a set of activities offered, or a place, it is a specific ethos and philosophy. You can provide activities like those offered at Forest School, and you can go outside weekly, observing the children and documenting next steps in learning, all of which is wonderful current practice, but you cannot just ‘do’ Forest School you have to learn it and live it. I cannot put it all into words, nor define it as a learning program which should be adhered to or adopted. 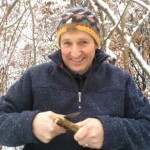 However, I can say that words like, resilience, empathy, holistic development, self-actualisation, freely chosen play, creativity, wellbeing and a feeling of calm, are all words that spring to mind, ones that I developed the use of, in the context of the child, during my training as a Forest School Leader. For me, this is where the difference presents itself… Forest school can be described as a ‘feeling’, Outdoor Play is more ‘doing’, if that makes sense! It’s a bit like ‘Hygge’ which is a Danish word that is just as hard to explain, but includes definitions such as, ‘a cosiness of the soul’, a feeling of home and safety, being with familiar people. An atmosphere and experiences, but not necessarily resources and things. Just for a second conjure up thoughts in your mind of a cosy campfire, warm bread on the end of stick and hot chocolate in a flask – sounds amazing! This is what children can experience at Forest School. After looking more closely at the ethos of Forest School, one of the main benefits appear to be the removal of a structured routine. From what I have witnessed children gain a sense of freedom and belonging in an environment where nature provides the resources and endless time is gifted, allowing higher order thinking and deeper understanding to develop. Before you know it, imagination has manifested itself into a hoosie, a plateful of beef olives and a tree bark baking tray that has been sourced to place them on (seam side down of course). Time is less limited, therefore play has a chance to develop from imagination, to creation, to reflection, to recreation. Both Outdoor Play and Forest School have enormous benefits for the children in the setting. The importance comes from defining what it is you are offering and what your settings ethos is. Along with the children, staff and parents in your setting, a combined vision for the outdoor experience you wish to offer can be developed. Through your aims and objectives, your own ‘to do’ list will unfold, this might then mean further training, guidance and literature is required. Aiming to develop a greater knowledge of nature pedagogy was important to me, in terms of defining my outdoor role as an Early Years educator. In conclusion, as reflective practitioners, we are not undertaking further training just to help us learn a new skill or teach children in a more effective manner. We are continuing our learning journey to re-learn what we ourselves forgot as children. This way, we can enjoy playing alongside them, being their partner, intervening sensitively and looking at nature through the inquisitive, knowledgeable eyes of a child. Thank you for this ? Yahoo! Lynne, this blog has had me cheering. Thank you for your thoughts. It is hugely encouraging to read of your personal growth as a practitioner. 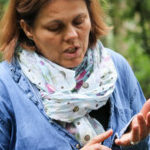 Wonderful to read that you found Forest School training such a valuable part of your own learning journey towards offering a rich sense of community and nature connection with your children. I often think Forest School is an unlearning process. An opportunity to ‘shift your paradigm’. Often a huge challenge. Definitely worth it to see children released into the freedom you have so eloquently described!